Letter from the CEOs of Dow Chemical, Salesforce, Unilever, Allianz, Virgin, and the Kering Group supporting beneficial ownership disclosure. Home » Resources » Incorporation Transparency » Letter from the CEOs of Dow Chemical, Salesforce, Unilever, Allianz, Virgin, and the Kering Group supporting beneficial ownership disclosure. This letter was originally published on the B Team website. Business leaders, financial institutions, investors and governments are taking action to end anonymous companies. On June 28, lawmakers introduced two bills in the United States House of Representatives and Senate which will make it harder for criminals to use anonymous shell companies as vehicles for fraud, crime, and corruption. Today B Team Leaders and CEOs Andrew Liveris, Paul Polman, Marc Benioff, François-Henri Pinault, Oliver Bäte and Josh Bayliss sent a letter to key members of Congress in support of these legislative efforts. They join major U.S. banks, community banks and investors representing more than $USD 855 billion advocating for company ownership transparency. Anonymous companies undermine financial stability, decrease competitiveness, raise the cost of doing business, and make it more difficult to enforce contracts and safeguard investments. 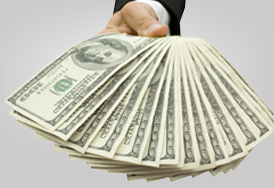 The United States has become one of the easiest places in the world for money launderers, criminal organizations, and terrorist groups to hide money – a situation which the recently introduced legislation seeks to remedy. The Corporate Transparency Act was introduced in the House by Representatives Maloney, King, Royce, Waters, and Moore. The True Incorporation Transparency for Law Enforcement (TITLE) Act was introduced in the Senate by Senators Grassley, Whitehouse and Feinstein. These bills will require the disclosure of the natural persons who own or control companies (known as “beneficial owners”) at the time a company is incorporated. 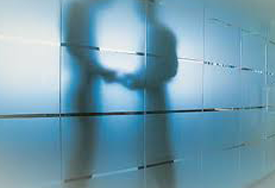 The growing support for company ownership transparency from the private sector reflects its important role in preventing corruption and creating more transparent and competitive business environments. For more information on what countries, companies and investors are doing to promote company ownership transparency and to take action on this crucial issue visit ownershiptransparency.com. As leaders of our respective businesses we write to express our strong support for the TITLE Act / Corporate Transparency Act ensuring the collection of beneficial ownership information. These bills provide a basic level of accountability that strengthens the business sector without creating costly burdens on business. We greatly appreciate your bipartisan effort and are pleased to lend our support to progress in this area. Anonymous shell companies have been implicated in a myriad of schemes to launder the proceeds of criminal activity and defraud legitimate businesses and governments around the world. New rules to combat illicit finance have been enacted in many countries but the U.S. does not require the collection of beneficial ownership information. When the true owners of companies put their own name on corporate formation papers, it increases integrity in the system and provides a higher level of confidence when managing risk, developing supply chains and allocating capital. If ownership information is on record, we can have greater reputational and legal certainty in our dealings with third parties, protecting our ability to enforce contracts and safeguard our investments. Thankfully, the trend is toward collection of this information. Companies already provide this information in several countries and will soon do so throughout the European Union member states. 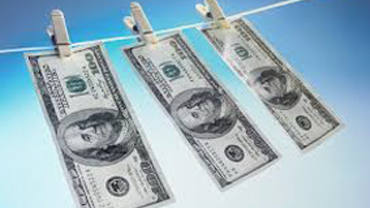 A report issued by the Financial Action Task Force (FATF) in the fall of 2016 recognized the significant progress made in the U.S. in anti-money laundering and counter-terrorist financing, making the U.S. a safer and more inviting place to do business. But the report also highlighted the lack of collection of ownership information as a serious concern making the U.S. the world’s largest secrecy jurisdiction, undermining some of that progress and assurance for the business community. These bills are a remarkably simple yet effective way to directly address that concern. Thank you for your leadership on this important issue. If you have questions or would like additional information, please contact May Miller-Dawkins at the B Team, mmd@nullbteam.org.